Tomatoes are just as common as growing weeds in your garden. They’re easy to grow and easy to harvest during their regular season. This is why Every gardener should plant at least one tomato in their garden. This is for their daily consumption. Knowing that tomatoes are easy to grow, planting it becomes less of a challenge for our gardeners. This is why growing tomatoes differently would bring back the fun in planting them. There are a lot of creative ways on how to plant tomatoes in your garden. 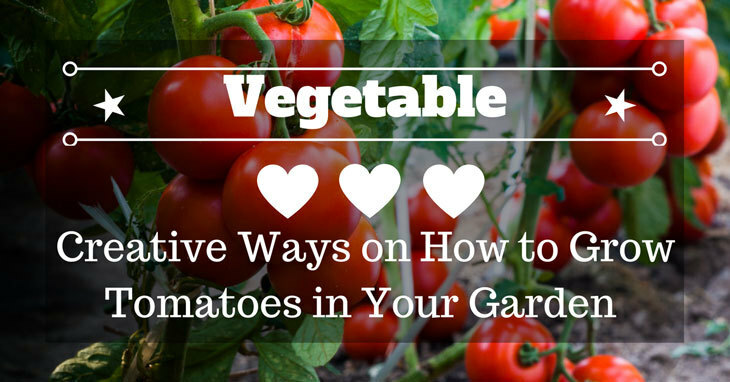 In this guide, we'll be discussing the different ways on how to plant tomatoes at home. This guide will not only focus on how to grow tomatoes. But it will also focus on the creative aspect of growing tomatoes in your garden. So read on to learn more about tomatoes. Tomatoes are known for their various health benefits. But more than that, tomatoes are more interesting than you might think. We will explore some random facts about tomatoes that you might not know about. Some facts on this list might shock you in disbelief. Here are some of those random facts about tomatoes. Tomatoes are actually fruits, not vegetables. This random fact might be the most popular one yet. Tomatoes are actually classified as fruits rather than vegetables. This is because tomatoes have the qualities and properties of being a fruit. Rather than being a vegetable. The next is that there are twenty-five thousand varieties of tomatoes in existence. Yes, there is actually an absurd amount of tomato varieties in existence. The thing is that you might have only encountered 10 varieties out of the 25,000 varieties available. While it’s true that tomatoes are easy to grow. There are still things that you need to consider before growing them in your garden. 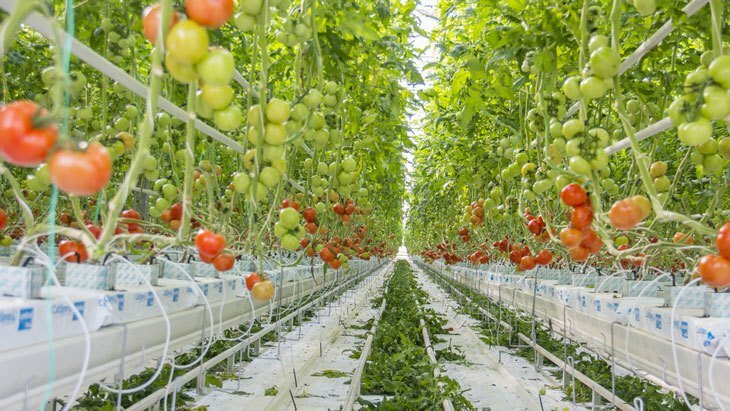 These considerations might help you in growing tomatoes properly. So read on and educate yourself on how to grow tomatoes properly. The first thing that you need to consider is that tomatoes need a lot of sunlight to grow. Needless to say, any crop that’s being grown needs sunlight to survive. But for tomatoes to grow properly, they need a lot of sunlight to keep them healthy. The next thing that you need to consider is the temperature. Tomatoes can’t grow during cold weathers, especially if there is a risk of frost in the air. And finally, tomatoes need cages or support to grow. Tomatoes need something to hold on to in order for it to grow and bear fruits. Cages and supports will help the tomato grow properly. Creativity goes a long way especially when you’re into gardening. And this holds true even in growing tomatoes in your garden. In this segment, we will suggest some items that you might need when growing tomatoes. These items are easy to find so take your time in finding them. 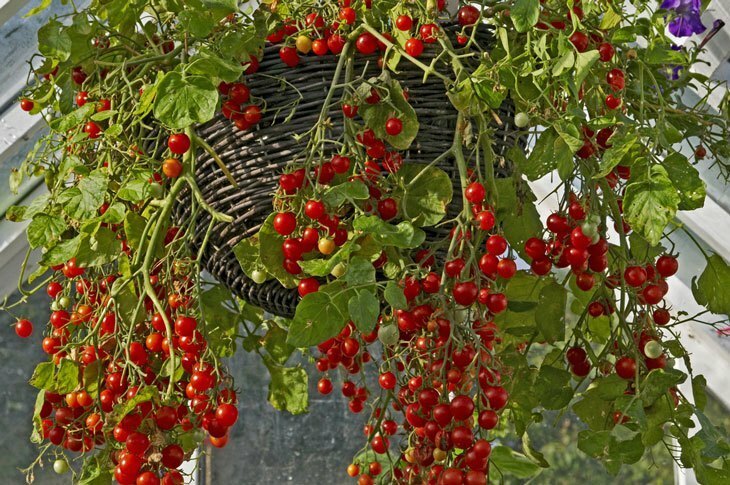 One creative method of growing tomatoes is by hanging them in baskets. So, if you’re going to try this method, you’ll need a big basket for your tomatoes. Using baskets in one creative way of growing tomatoes at home. Cage and supports are important when growing tomatoes. They rely heavily on these supports to grow properly. So try to pick a useful cage or support when growing tomatoes at home. Find a support that fits your creative style of gardening to yield better results. Sticks and stakes are your basic support when growing tomatoes. These instruments help your tomatoes grow faster and better. They will serve as your plant’s guide and backbone when they’re growing. Make sure that the sticks and stakes are tall enough for the plant to reach. The traditional way of growing tomatoes is by growing them in pots. These pots will serve as your plants home for the duration of its life. So pick the best pot for your tomatoes when you’re growing them in your garden. Depending on how you’ll grow your tomatoes. Tomato seedlings in one way of growing tomatoes in your garden. If you’re a beginner at gardening, we suggest that you grow your tomatoes by using tomato seedlings. Now that you have a grasp on how to properly grow tomatoes. It’s time to know how to creatively grow them in your garden. You can try one or more methods on this list or you could create your own style. One creative method that you can try out is the string climbing tomatoes. This method involves hanging a long string in your garden for your tomatoes to climb. This unique way of growing tomatoes has gained popularity throughout the years. This is due to its unique design. To do this, all you need to do is to find a suitable place for you to hang a thick string. Next is to put the potted tomatoes underneath the thick string. So that when the tomato grows it will climb up the rope creating a unique scenery. The best way to design your fence is by making it eco-friendly and organic. 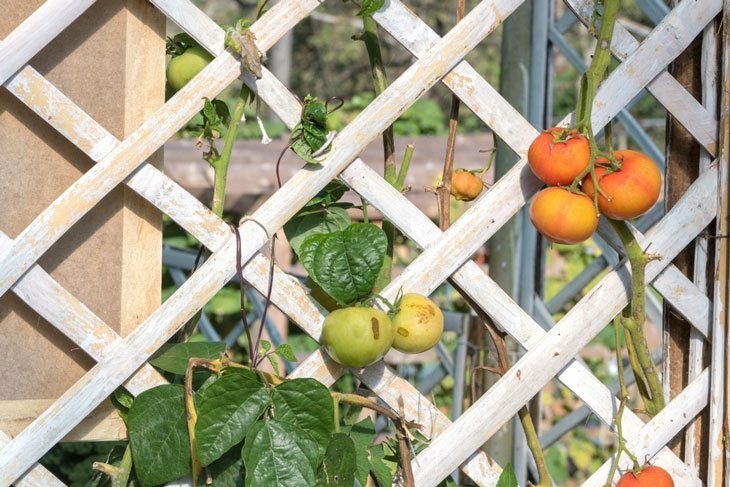 One creative way of growing tomatoes is by making a tomato fence. This method of growing tomatoes uses your fence as a support for your tomatoes. A fence full of tomatoes is a wonder to behold if you’re well enough to grow it. To do this, all you need to do is to plant your tomatoes under a fence. This will prompt the tomatoes to crawl into the fence and form a tomato fence. You’ll need to add some support to the tomatoes so that it will properly crawl into the fence. One unique way of growing tomatoes is in a raised bed. Tomatoes grown on a raised bed are nice to look at. It looks neat and tidy with all of the tomatoes placed in each box. Growing them in raised beds makes gardening easier and fun. To grow them in raised beds, you’ll need to prepare the raised beds before planting the tomatoes. You could either make a box type raised bed or a traditional raised bed. This will depend on the number of tomatoes that you’ll plant in your garden. This method might seem impossible at first. But when you get the hang of it, it will be much easier. Growing tomatoes on your window are one of the many creative ways on how to grow them. Just remember to secure the basket or pot so that the tomato will not fall. Growing tomatoes on your windows are easy. To do this, you’ll need a pot or a basket to hold your tomatoes. Next is to attach the pot or basket to your window, if you don't have anything to attach it to. You’ll need to install a joint for your pot to hold on to or else it will fall. There are many ways on how to creatively grow tomatoes in your garden. While the fact still stands that tomatoes are easy to grow. You can still spice things up and grow them in a way that others can appreciate. You can try these methods or you could create your own style. 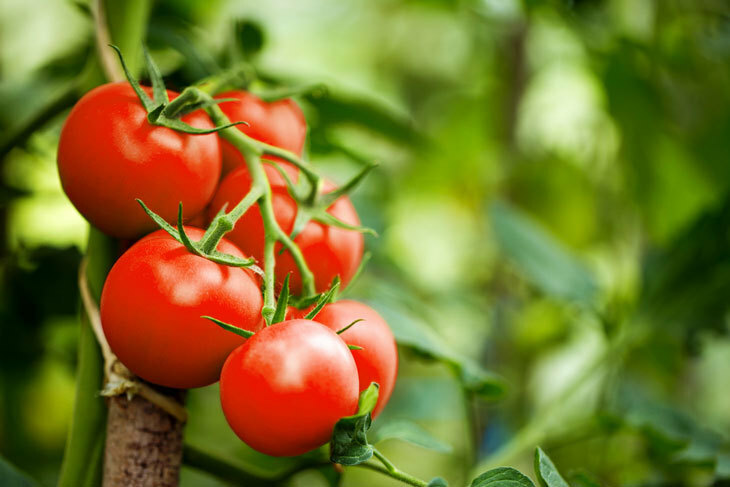 We hope that this article helped you in growing tomatoes in your garden. Stay tuned for more creative ideas from us. And don't forget to like and share this article with your friends. What’s your favorite way of growing tomatoes? Tell us in the comment below.